Three Gadgets People Have Longed For That Are Now a Reality | OhGizmo! By Hazel Chua on 11/12/13 • Leave a comment! I’m not going to lie. I grew up with the dream of becoming a writer one day, and the thing that I wanted people to invent the most was that telepathic typewriter from The Tommyknockers. In case you aren’t familiar with this particular Stephen King story, the main character is a writer who builds a battery-powered typewriter after coming into contact with a thing buried in the ground. It’s not your everyday typewriter, since it was capable of reading his thoughts and typing up pages and pages of work, even while he was sleeping. Imagine what the lives of writers would be like if they had a typewriter like this. I just finished reading the book again, so the whole thing is fresh to me. And every time I think about that typewriter, I remember all the other things that we only used to dream about that are real now: smart fridges, telepathic cameras, and gesture control devices. A lot of people I know watch cooking shows when they prepare dinner. It’s not easy to do on a tablet or smartphone, since you run the risk of splattering sauces or ingredients all over your devices. Then along came the smart fridges from KingsBottle which lets you play videos and even stream movies on its built-in door screens. The door-slash-screens are clear, so you can see the contents of your fridge without having to open it to check if a particular ingredient is there or not. 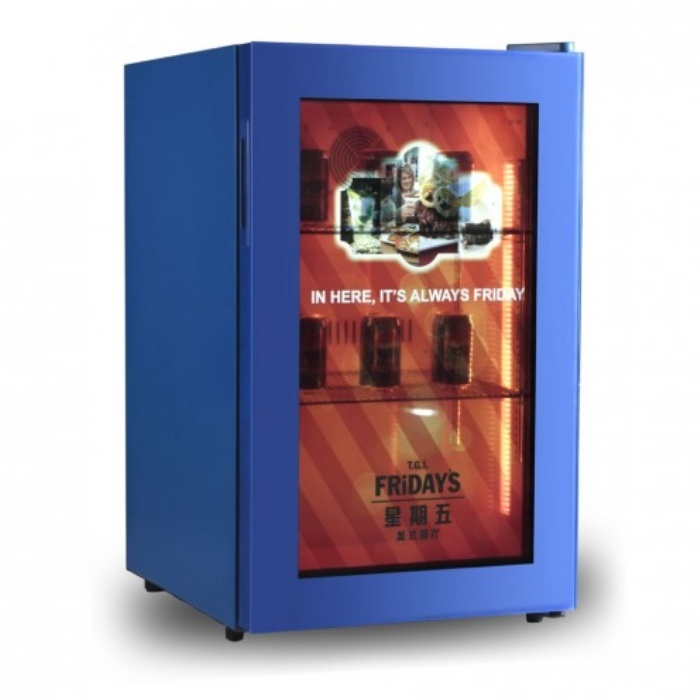 It’s not limited for home use, since restaurants and bars are already using commercial versions of these to stream videos and ads to diners who are waiting for their grub. How many times have you looked at a scene that was so breathtakingly beautiful, that you wished you had a good camera and the skills to capture that image right then and there? Well, wish no more because developers in Tokyo are working on something called the Neurocam. The Neurocam is more than just a camera. It measures your brainwaves and takes a five-second GIF of whatever is within the camera’s line of sight when you get excited. In short, it lets you create Vines using nothing but your mind. Just imagine if they teamed up with Google Glass and social networks—if they can make it happen, you’ll be able to instantly post your immediate experiences just by thinking about it. Pretty neat, huh? 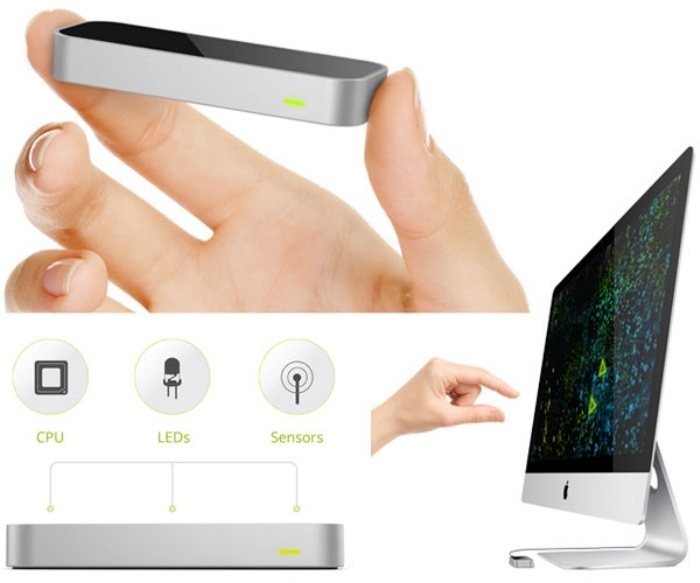 At this point, you’ve probably already heard of Leap Motion. The gesture controller was covered intensively by blogs when it was first announced and launched last year. Think of how the characters from Minority Report and Iron Man manipulated their computers, with users capturing documents and files from one screen and virtually “throwing” it to another screen without needing a mouse. That’s all possible with Leap Motion, a tiny device that lets you perform basic functions on your computer with nothing but your hands. It’s not as advanced as the ones you’ve seen in both movies, but it’s getting there. Leap Motion essentially uses Kinect-style technology to detect hand motions and to recognize the movements of individual fingers. 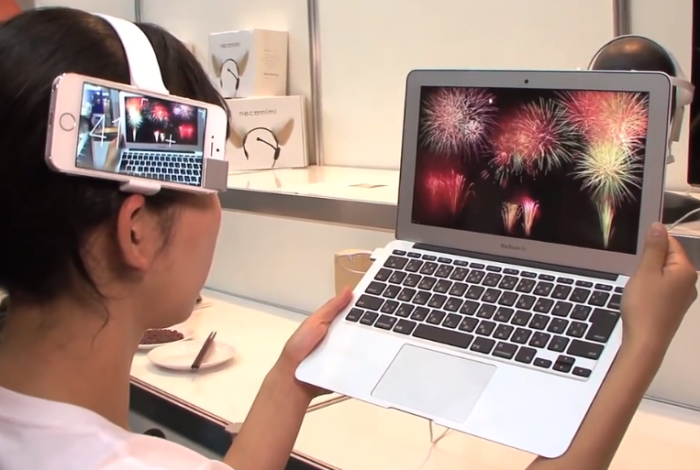 It operates out of a dongle, but you can’t get too far away from it though, or it will stop being able to “see” you. It might just be what propels us into the mindblowing moviescape future of computing. 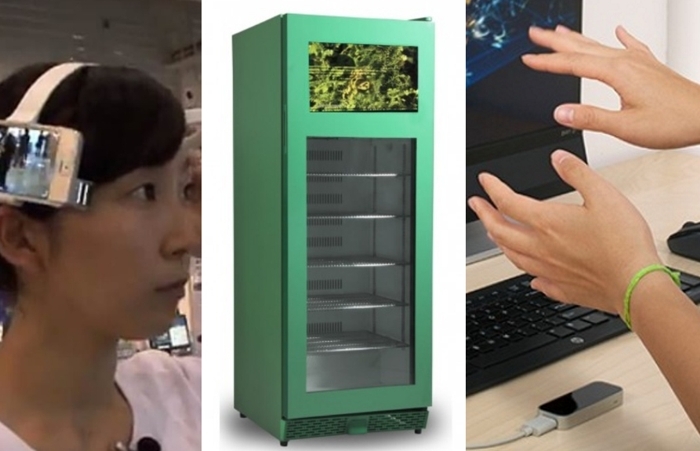 Now that we’ve got brain Vines, video-streaming fridges, and motion controllers-ala-Tony Stark, what’s next? My money’s on hover boards.